This is the online portal to pay for 2019 AP tests. Deadline for payment is October 4, 2018. 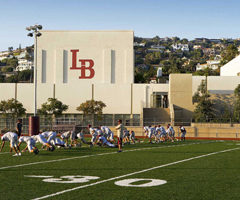 You MUST be an actively enrolled student at Laguna Beach High School in order to use this portal. This is STEP TWO (2) for registering to take the 2019 AP Tests in May at Laguna Beach High School. Payment for your AP Test(s) MUST BE COMPLETED IN ORDER TO have a test ordered for you. If there are any questions, please speak with your AP Teacher or see the AP Coordinator in the Administration Office.